Nevermind if the name is weirder than the previous Crunchpad. And nevermind if it will no longer be released under TechCrunch Michael Arrington’s tutelage – but the controversial tablet PC, now christened Joo Joo is definitely coming out on Dec 11. After last week’s announcement by Arrington that Crunchpad was already dead, its manufacturer Fusion Garage finally came out to clear things out and officially announced that they will push they will release the controversial Tablet under the new name – JooJoo. Fusion Garage promises that JooJoo will get users connected to the Internet in 9 seconds. How is that possible? That’s because Joo Joo will boot directly to the Internet instead of going through the usual OS boot..
Other features of the Joo Joo include Wi-Fi and full HD video capability as well as built-in e-book capabilities. The Joo Joo will still have a 12.1-inch touchscreen. 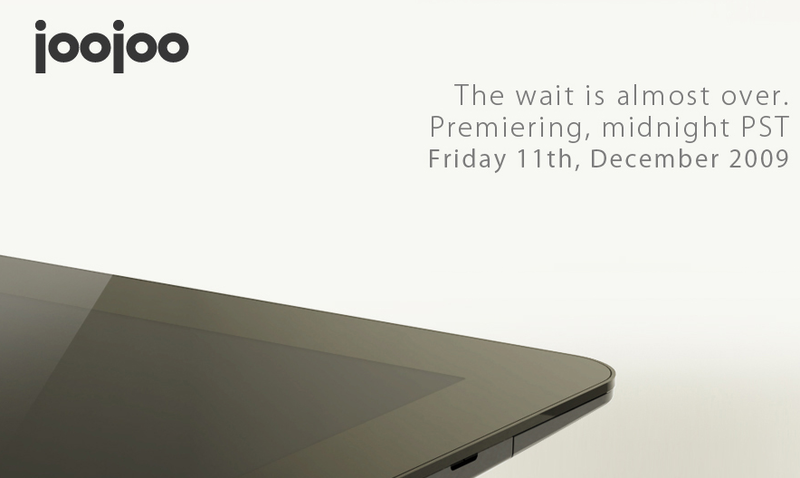 Pre-orders will commence on Friday and the Joo Joo is expected to hit the streets at around $499. The question now, is whether the Joo Joo will be as successful now that it is no longer connected with TechCrunch? Does Fusion Garage have the marketing arm to properly and effectively sell the Joo Joo?